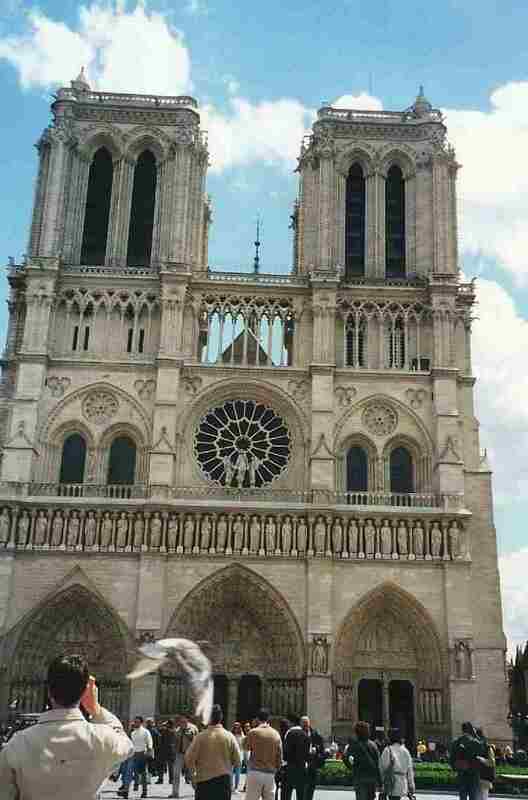 No other building is so associated with the history of Paris as Notre Dame. It stands majestically on the Ile de la Cité, cradle of the city. Pope Alexamder III laid the first stone in 1163, marking the start of 170 years of toil by armies of Gothic architects and medieval craftstmen. Ever since, a procession of the famous has passed through the three main doors below the massive towers. The cathedral is a Gothic masterpiece, standing on the site of a Roman temple. 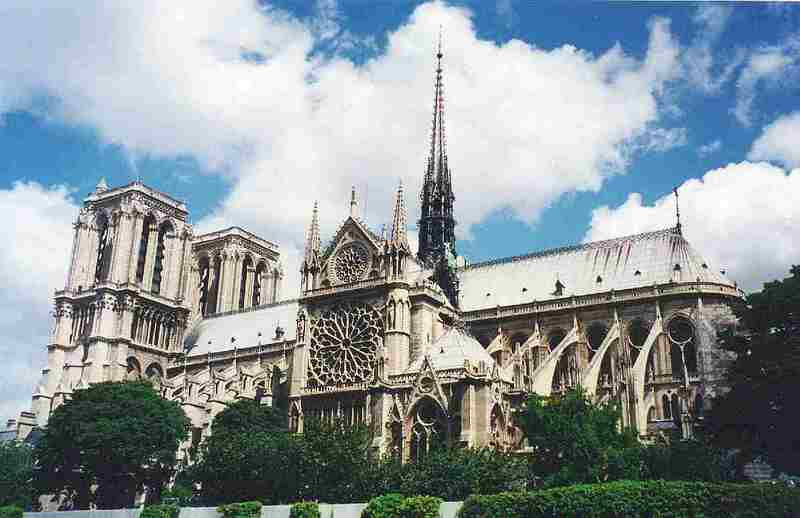 At the time it was finished, in about 1330, it was 130m (430ft) long and featured flying buttresses, a large transept, a deep choir and 69m (228ft) high towers. The West Front (seen right) comprises three main doors with superb statuary, a central rose window and an openwork gallery.